This is a photo heavy post - be warned! It's all quiet now after a few visitors to the pre-party evening and I've sorted through the photos I took earlier when I tried on every size 10 and 12 in the party stock. It's amazing how things I loved in the catalogue didn't really work for me while others I'd never have considered buying, were gorgeous on! Shoes next. Not as much of the footwear range as I would have liked. 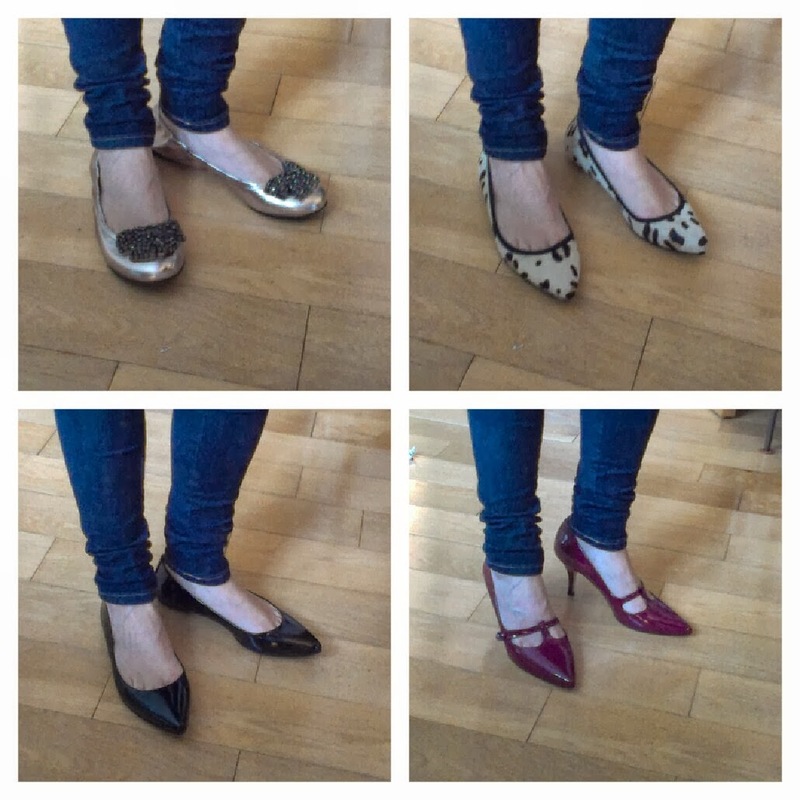 No ankle boots - tho plenty of the dressier shoes and boots. And yes, the pointed flats are not for me - 40 was too big and the 39 was torture. Wide feet are not fun..
Now for coats and jackets - again, not as much of the selection as I'd like to have seen but it was great to try on the Fifties jacket. The 12 was way too big but the 10 was quite neat. 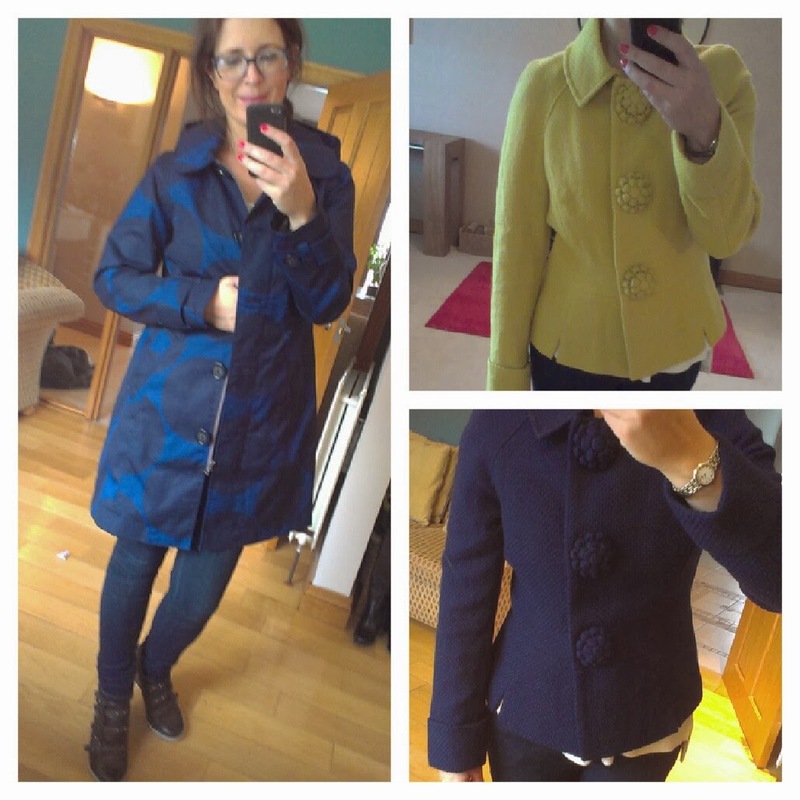 LOVED the navy though and it's quite a heavy jacket and very cosy! The Everyday Mac was great as always - it comes up big. This 10 was huge! Had been really keen to try the orange Saint Germain coat as I love a boiled wool coat. It's great - the orange was a 12 though and was too big. The 10 fitted better but was hard to photograph as it was black. 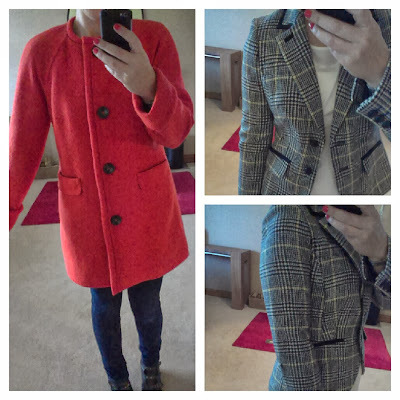 The British Tweed Blazers are really beautiful - gorgeous material and very well made. Came up small though. I would have needed a 12. 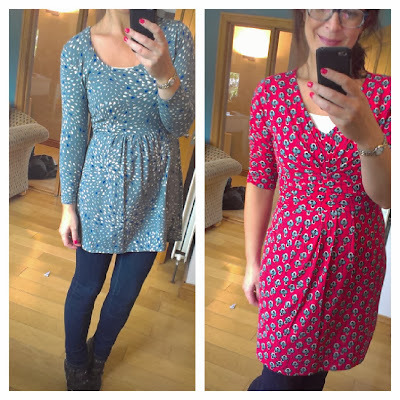 This next dress - the Lana Dress - was voted the best on mummy by the kids. Katie even came out from her hidey den under the table to tell me so! It's got pockets and sleeves and a really flattering cut if you like a nipped in waistband and a boat-neck collar. Both great if you're a pear shape. Can you believe it? 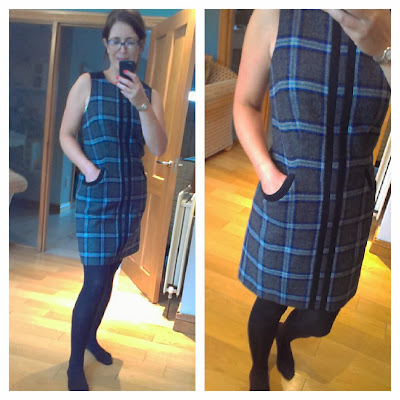 I'm in tartan! 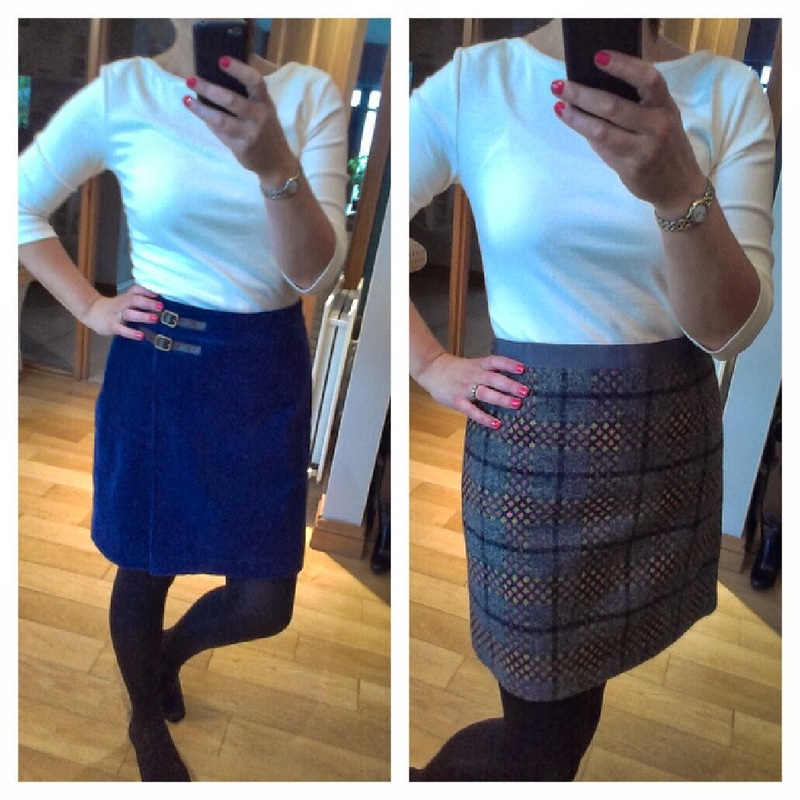 It's the British Tweed Shift. I actually quite liked the pattern in this and the seams and pockets but it was nicer on the hanger. It would be another fab dress for the office with a shirt underneath. 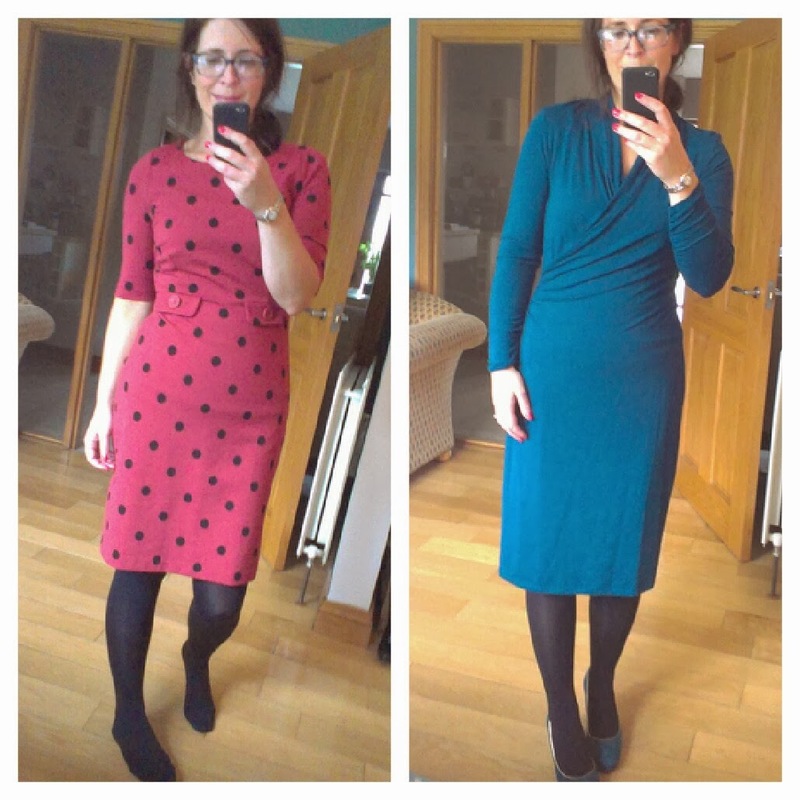 Lastly, the spotty Audrey Dress didn't photograph well but I really liked it on but again, more of an office dress I think. 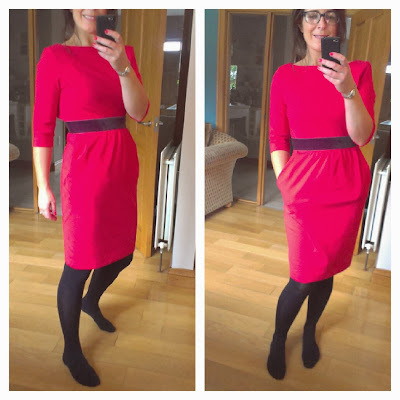 And the Claudia jersey wrap style dress was way too long for me but for any taller girls out there - this is a great option! Next up - knitwear. 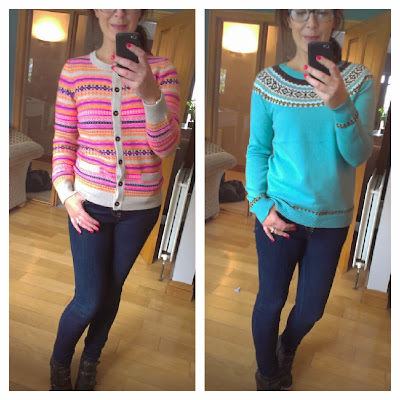 Now, I'm not the biggest fan of jumpers, especially patterned ones but I really loved the Fair Isle Cardigan in neon. The Fair Isle Yoke Jumper was surprisingly good in this colour-way too! Christmas wish-list now - The Relaxed Cashmere Cardigan is just a classic. And an investment piece - one you'll have for years. Also tried on the Cashmere Crew Neck Cardigan, the Printed Button-Back Jumper, and the Favourite Roll Neck (size up!). 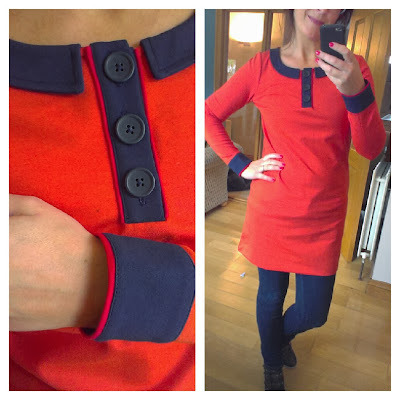 Tunics now - starting with the Retro Tunic Dress which I loved but felt was a bit overpriced as it's not lined. Size down - I'm wearing an 8! 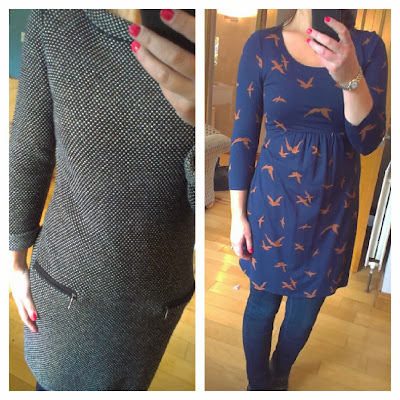 But size up for the Must Have Tunic (right).. I was thinking about buying the Contrast Collar Tunic but it didn't sit as nicely as I'd hoped on my waist. Definitely one for tights, not for over jeans so I'm going to try it on again tomorrow. The colours are simply lovely on this one - much more orange than the camera has picked up. The next two are very Boden-esque. On the left, the Empire Line Top was true to size. On the right, the Gathered Band Tunic needs to be sized up. Neither style is my cup of tea really but the pattern and colours are great - good old traditional Boden! Finally finally....tops...and I tried on quite a few, starting with the Modern Breton, which is not jersey or cotton - think of the Modern Woven Striped top from SS13. It's that same material with long sleeves. Not great on the hanger but better tried on. This was too big for me in a 12 and needed ironed! 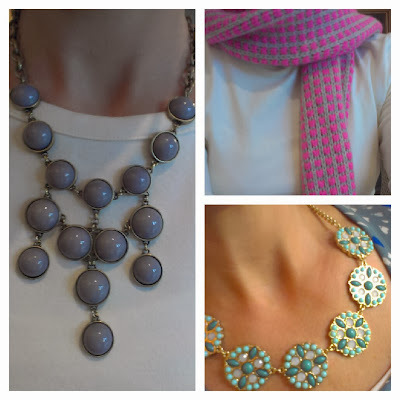 AMAZING in the pink and blue colour-ways online. 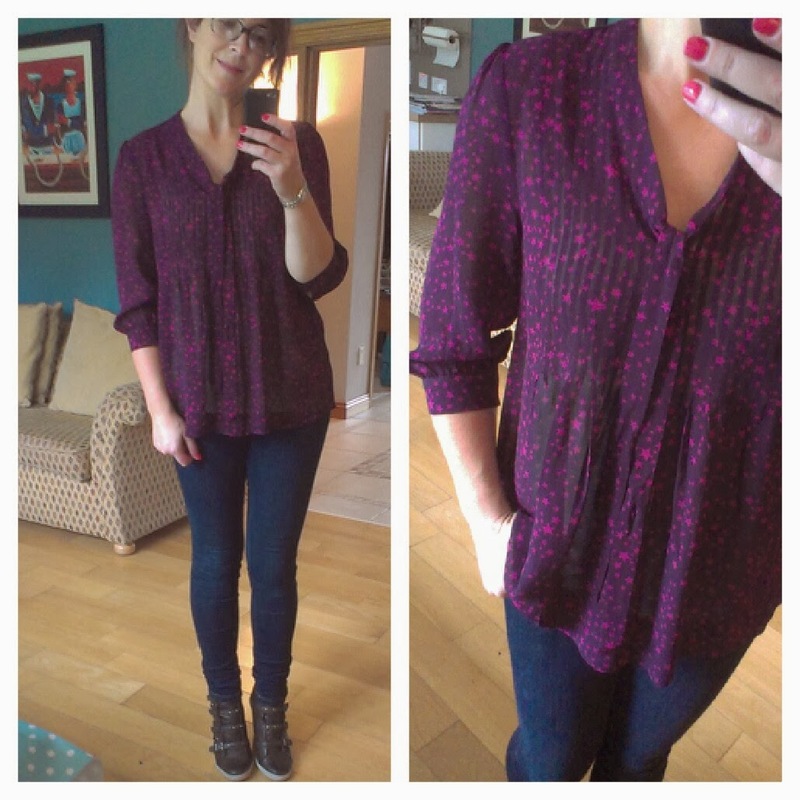 I'm a big fan of these Wrap Jersey Tops and I loved this berry coloured one. They are also great value in my opinion. Perfect for wearing with boot cuts or boyfriends when you need a closer fitting top or indeed for work. Size up! This was such a pretty top off the hanger and great colours for me. If I didn't have something similar already, it would have been on my list.. 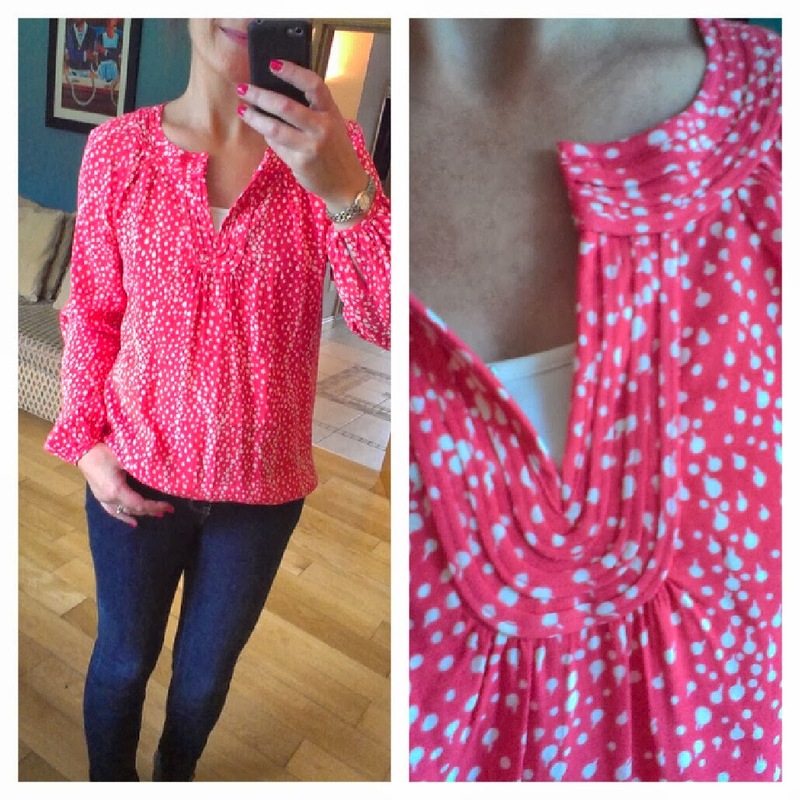 The Bow Front Blouse. Would be great with a blazer and some heels. and the Off Duty Merino Jumper. Simply fab. 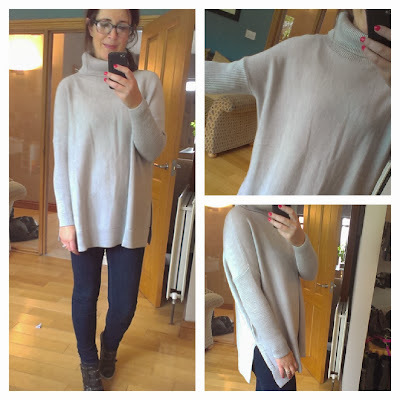 It's exactly my kind of jumper and reminds me of a great one that I saw in the White Company last season, priced at about £50 more! 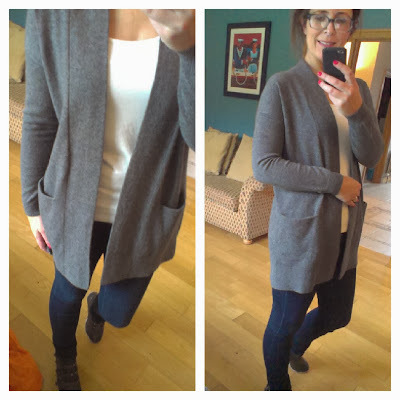 This sits great, doesn't add too much bulk, is super duper cosy, looks amazing with coloured jeans and you'll be seeing it on the blog again for sure! Phew...that's me done and it's now past midnight!! EEK...off to my bed now in preparation for the morning. Hope you enjoyed all the photos and if you would like to purchase with my party code, drop me an email to schoolgatestyle@yahoo.co.uk and I'll let you know what the code is. I'm not allowed to publish the code online anywhere so need to do it via a private email. Wow!!! 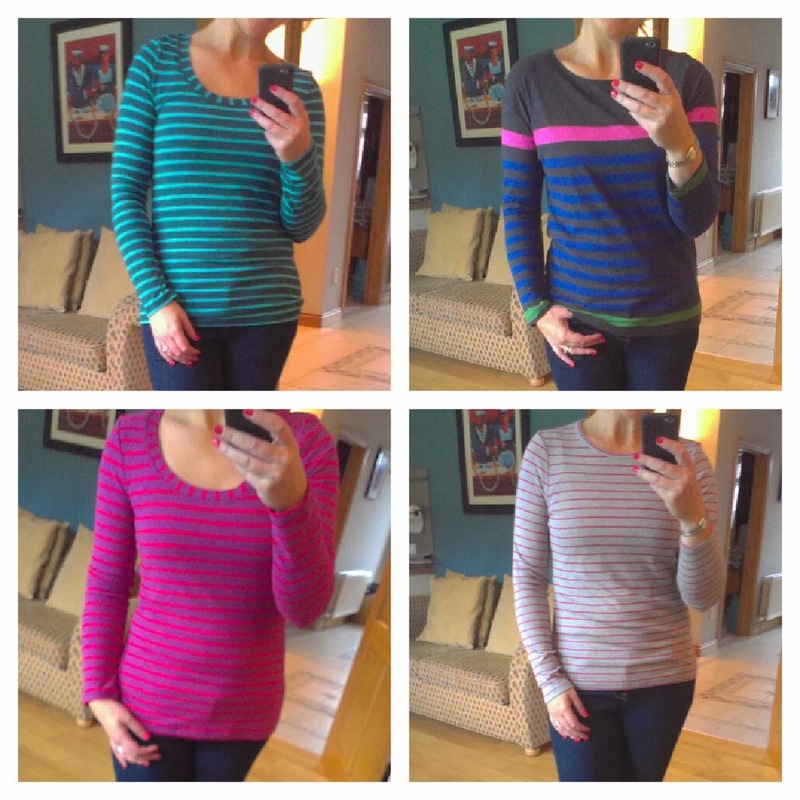 That must have taken all night:) love the merino off duty - what size did you try? 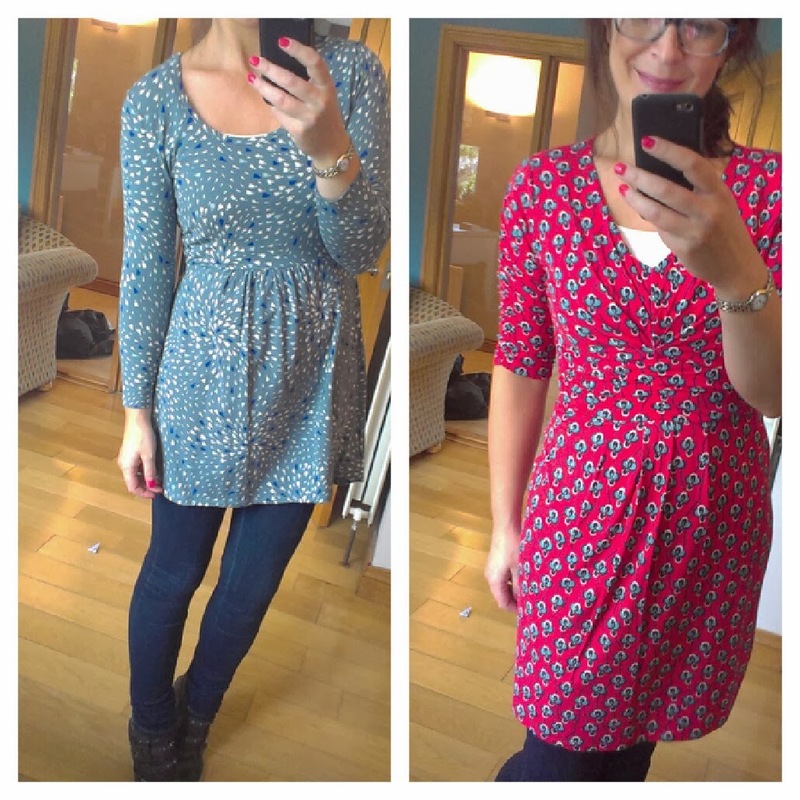 The s, m, l sizing has thrown me! Love the Lana dress and bow front blouse - gorgeous! Love the colours in that bow front blouse and the last jumper is gorge! Am hoping to get down today but if I can't will be requesting your code! Interesting that they sent you the gray retro bubble necklace when it's been out of stock for weeks.... I guess people can see it for size and then order the blue or pink as they are the only colours in stock now. The green flew out of stock too! 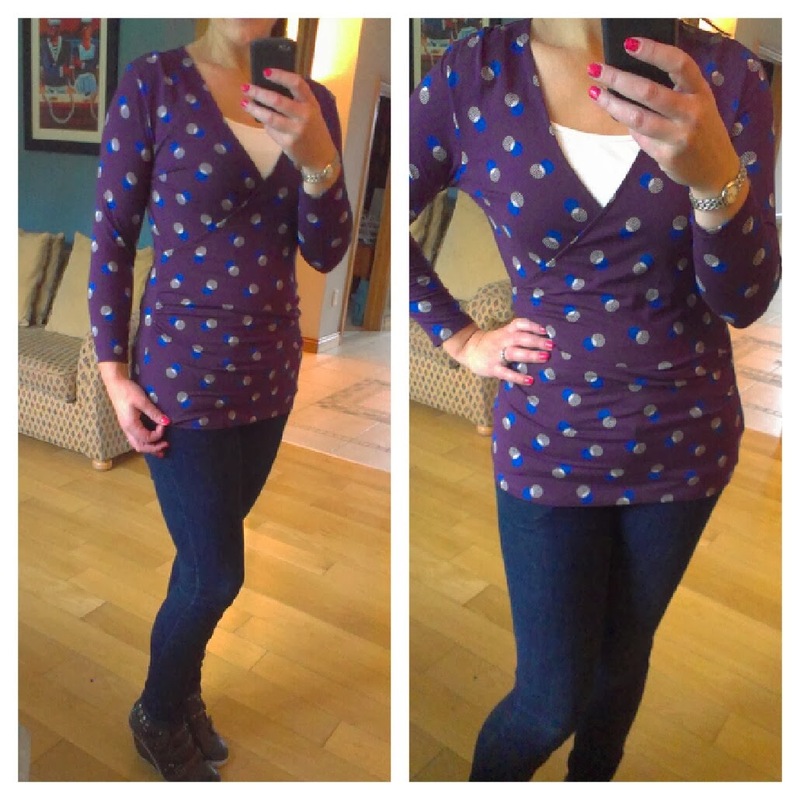 Oh and I loved the Brondesbury Top online, seeing it here confirms that I will wishlist it and keen an eye on stock. Best of luck with the party! whow! you must be tired after all that trying on clothes! I love the spotted dress on you - the one you say doesn't photograph well - it photographs well enough for me to say I think it looks lovely. And I rather like the retro tunic as well. And the off duty Merino sweater ... the pointy flats. So many things. Wish I was having a play in amongst all that lot. What is the sizing like on the Duty Merino Jumper? LOVE the tweed mini's - keep looking at them on the Boden site and having discussions in my head!!!! Love the Lana dress. I may give it a whirl - or should that be twirl! Avril - brilliant round-up and you've highlighted several things I hadn't even considered from the catalogue. 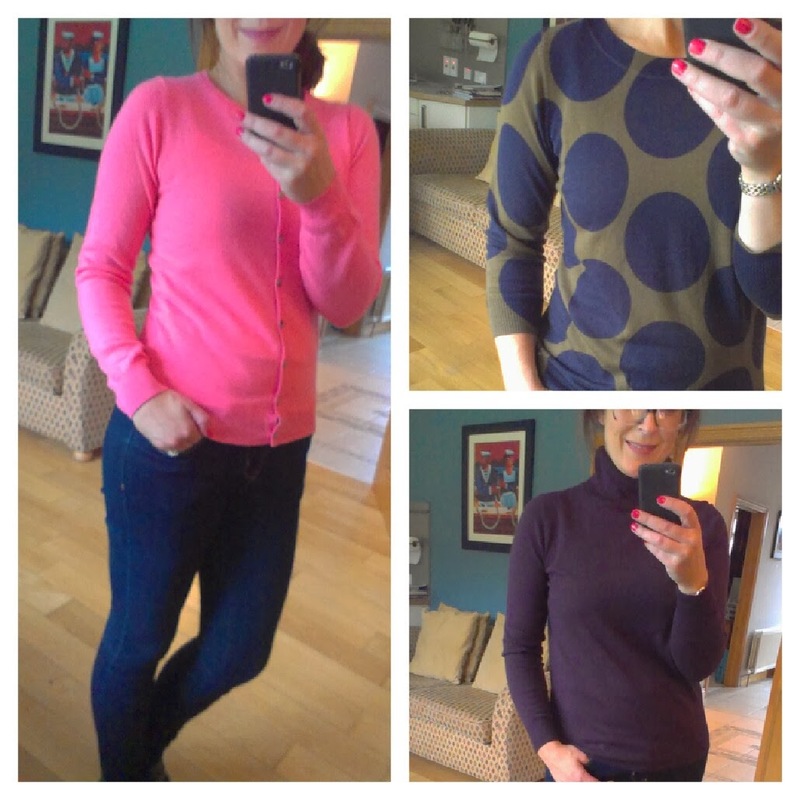 One is the Brondesbury Top - looks lovely on you, but what did you think of the fabric? 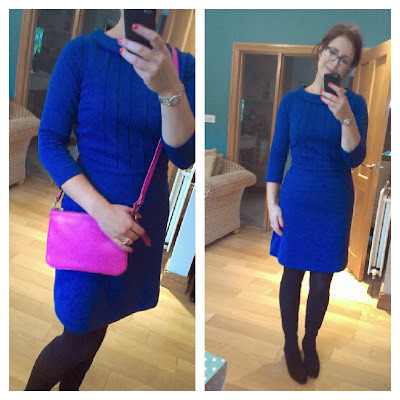 Reviews on the Boden site suggest that it will crease terribly? What do you reckon? Hope the party goes brilliantly!! 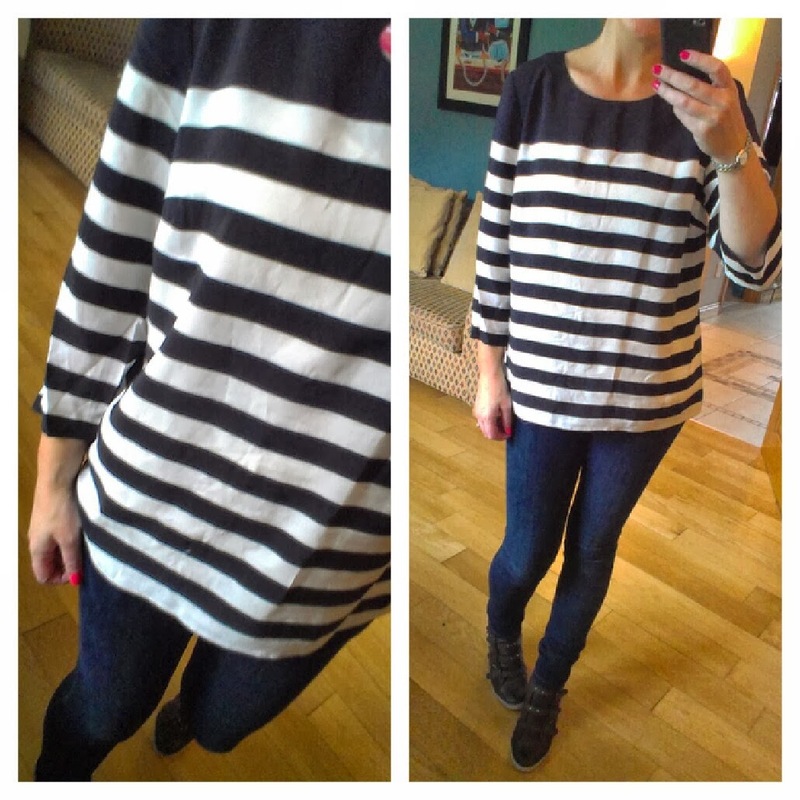 Hi Thea - I still have the bags of stock in the hallway so just went out to try to crease the Brondesbury Top and I have to say, it's not creasing that easily at all. It's quite a weighty viscose material that hangs really nicely. Perhaps it is creased when it arrives as it's folded for delivery but the top in my set has been hanging now and has none. There were a few items that were very creased (that had also been hanging for ages!) but this top definitely wasn't one of them. I just read the reviews and I think if it was silk, as one reviewer as suggested, it would be even more creased on wearing! And three times the price!! Great advice about calling - hadn't thought of that :-) Will e-mail you for the discount code! Thanks very much.